Frank P. Moncure Lodge Scholarship Fund, Inc. The Frank P. Moncure Lodge Scholarship Fund benefits High School Seniors in the Stafford County School System. Each year the fund awards scholarships to worthy high school seniors. It is fitting that the boyhood home of George Washington, one of the best known Masons, should help support the youth of this county in achieving their potential through education. The Frank P. Moncure Masonic Lodge No. 279 of the Grand Lodge of Virginia, located in Stafford County, VA is seeking to continue the traditions of Masonic Charity by establishing this program to support the youth of this county by awarding scholarships to worthy high school seniors nominated by teachers and administrators of theStafford County school system, and approved by the Scholarship Committee members. 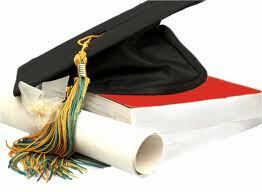 The Scholarship Fund was incorporated under the laws of the Commonwealth of Virginia in 2005. It is a tax-exempt organization under the provisions of the Internal Revenue Code, and as such all contributions are tax deductible. 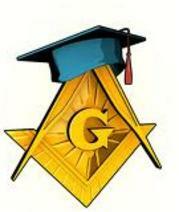 The Scholarship program is a completely non-profit cororation, the Scholarship is funded by Masonic members, non-members and through community fund raising activities. With this in mind, it is the goal of this Scholarship Fund to establish a permanent Endowment to insure that this program will continue to grow and benefit the students of Stafford County. This Scholarship Fund is free of any administrative cost, allowing all proceeds obtained through our fund raising efforts to go directly int scholarships for the students of Stafford County. The Frank P. Moncure Lodge Scholarship Fund, Inc., invites all members, community leaders, supporters of our youth, to support this Endowment Program in preparing our youth and future leaders of our community, state and country. ​Please make sure to fill out all forms completely. Two applications should be filled out, the Student Application and School Application. Make sure to give the School Application to the appropriate school personnel.